Wawatay Communications Society serves the communication needs of First Nations people and the communities of Nishnawbe Aski Nation. It does this through the distribution of a monthly newspaper, daily radio programming, television production services and a multimedia website that seeks to preserve and enhance indigenous languages and cultures of Indigenous people in northern Ontario. "Wawatay Communications Society is a self-governing, independent community-driven entrepreneurial Indigenous organization dedicated to using appropriate technologies to meet the communication needs of people of Indigenous ancestry in Northern Ontario, wherever they live. In doing so, its founders intended that Wawatay would serve their communities by preserving, maintaining and enhancing Indigenous languages and culture." "To provide media capabilities and content that address the unique needs of the Nishnawbe people." The membership of the Society – 49 First Nation communities within the territory of Nishnawbe Aski Nation– formally adopted the above mandate and mission statement at an Annual General Membership Meeting on May 5-6, 2004. Published by Wawatay Communications Society since 1974, the monthly newspaper is distributed to more than 40 First Nations across Northern Ontario and to Indigenous people living in the region's towns and cities. Wawatay News features Indigenous news, people, culture and language. Ours is the only newspaper that publishes stories in English and the Indigenous languages of Northern Ontario – Ojibway, Oji-Cree and Cree. Wawatay News is also consistently recognized for journalistic excellence. Wawatay News coverage and distribution area serves an Indigenous population of almost 58,000. Wawatay News also provides translation services in Ojibway and Cree languages from English Ojibway/Cree. Provides radio programming to more than 30,000 Indigenous people in the Nishinawbe Aski Nation Territory and other Treaty #3 areas. WRN is also distributed via Bell Express Vu nationwide, and globally through our radio web streams on Wawatay News Online. WRN provides regional, national and international news of interest to its audience, broadcast in the Indigenous languages of Northern Ontario – Ojibway, Oji-Cree and Cree. WRN also provides an English version of its news broadcast to that portion of the Indigenous population who do not speak or understand their ancestral languages. Broadcasts also consist of local events, community announcements, special programs for Elders, Youth and Women and interactive call-in shows such as question and answer panels, dedications and greetings. WRN currently broadcasts 67.5 hours of unique programming per week of Oji-Cree, and Cree language broadcasts. 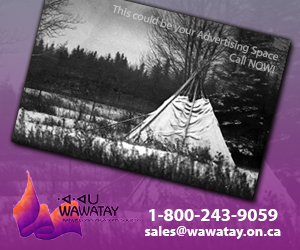 Wawatay TV produces programs broadcasted nationally on the Aboriginal Peoples Television Network APTN. Our TV content is in-the-language and subtitled in English. We recently completed season four of Cry of the Loon Fishing Adventures airing currently on APTN. Cry of the Loonblends technology with traditional fishing techniques. Our productions explore and are presented from our regional perspective and in our three distinct languages of Cree, Oji-Cree and Ojibway. Wawatay News Online offers cultural and language content in web-based media that is accessible and of interest to all citizens of NAN and Treaty 3, especially the youth. The website provides a unique perspective on the people, languages and culture of NAN and Treaty 3 through multimedia content that combines photos, audio, video and text. Visit www.wawataynews.ca and follow the multimedia link. Wawatay News Online also promotes language use through stories translated into Cree and Oji-Cree syllabics. Our online readership has consistently increased since our inaugural launch in May 2007 and progressed with our rebranding in September of 2015. Our demographics highlight the growing importance of online media. Wawatay News Online also streams Wawatay Radio. Wawatay News has won many awards over the years, both for it's excellent journalism and for its stunning visual impact. 1972 – The Sioux Lookout Friendship Centre publishes Keesis, a newsletter in English and handwritten Ojibwe syllabics. 1974 – Wawatay is incorporated. Provides trail radios. Tranforms Keesis into Wawatay News. Helps Big Trout Lake set up a community radio station. 1975 – Helps Muskrat Dam set up a cost-effective community radio station. 1976 – More communities approach Wawatay for help to set up radio stations. 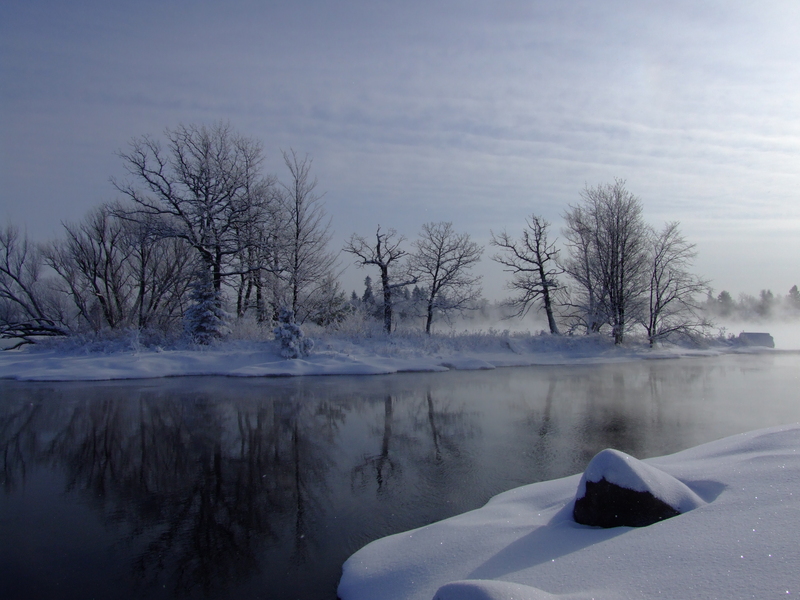 1978 – Wawatay experiment links Big Trout Lake, Sandy Lake, Fort Hope and Sioux Lookout radio stations for three months. 1979 – Wawatay starts broadcasting department and distributes taped news programs through mail and green garbage bag drops by plane. – Bell Canada contracts Wawatay to provide translations services for Cree- and Ojibwe-speaking customers. 1980 – Satellites move into communities and begin broadcasting "Superstation" programming. Wawatay continues to distribute news by mail. 1980 – Wawatay continues producing and distributing, by mail, a one-hour program in the language. The program is aired at each community radio station each week. Early 1980s – Wawatay pioneers a computer-based syllabics script on a Mac platform, for Cree and Ojibwe stories. 1981 – TVO launches services in northern Ontario. Wawatay looks at expanding its radio programming. 1983 – The federal government creates the Northern Native Access Program for production of Native language programming. 1984 – Wawatay signs a distribution agreement with TVO. The Wawatay Radio Network is launched Sept. 6. Three hundred people attend the event and tune into WRN. 1985 – Wawatay looks at developing a Native language television network. 1986 – A Wawatay television studio built in Sioux Lookout and Wawatay Cree radio arrives in Moose Factory. 1987 – Keenawint, Wawatay's first television program airs on TVO in January. 1990 – Wahsa distance education starts broadcasting classes in September. – Wawatay faces deep funding cuts made by the federal government. 1992 – Thirty-five community radio stations get training for one year. 1997 – Wawatay Print Services is launched as a division of Wawatay News. 1998 – Wawatay launches its first website. Fully digital production of Wawatay News begins. 1999 – Wawatay TV programming airs nationally on the Aboriginal Peoples Television Network. 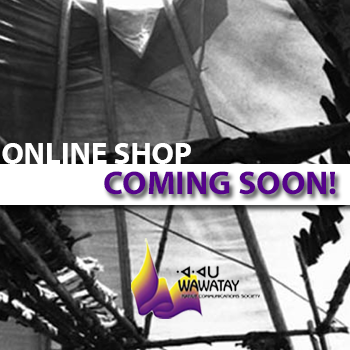 2003 – Work begins on a Wawatay Digital Archive in partnership with K-Net, with funding support from FedNor. Thirty editions of Wawatay News – one each from the 30 years the newspaper has published – are digitized as a Wawatay 30th anniversary project. 2004 – Wawatay and Wasaya Airways launch Sagatay as the airline's inflight magazine. – The Wawatay Online Learning Project is developed in partnership with K-Net, with funding from Industry Canada's First Nations SchoolNet program. 2005 – WRN Moose Factory relocates its station to Timmins. 2006 – Wawatay Translation Services adopts a new Unicode syllabics font compatible with digital printing and web applications. 2007 – Wawatay News Online, www.wawataynews.ca, is launched in May 2007. The first edition of Seven youth magazine is published (under the title Celebrate Life with the Seventh Generation).